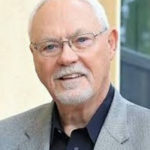 Bob McKinnon is the host of the Real Leadership podcast and has been a leader’s leader for decades. McKinnon has managed portions of five real estate companies, has been a franchisor, a corporate manager and Director. Being a part of the team that developed the first region of CENTURY 21 in Southern California, McKinnon was instrumental in that company’s early growth and development. In 2012, he became the South West U.S. Divisional President for EXIT Realty Corp. International, working with regional owners to help to grow EXIT’s presence. In 2016, he became a certified speaker, trainer and coach of the John Maxwell Team. In 2017 McKinnon was appointed Director of Leadership for the entire EXIT Realty organization.